Obituary for Arveda J. (Ortman) Taliani | Ajak Funeral Homes, Inc.
Age 89, formerly of Creighton, passed away on Monday, July 30, 2018 at Westwood Health and Rehabilitation Center, Archdale, North Carolina. Born on March 10, 1929 in New Kensington, she was the daughter of the late Harry and Lillian (Hevner) Ortman Sr. and had been a longtime resident of East Deer Township. Mrs. Taliani moved to her daughter's home in North Carolina in 2011. 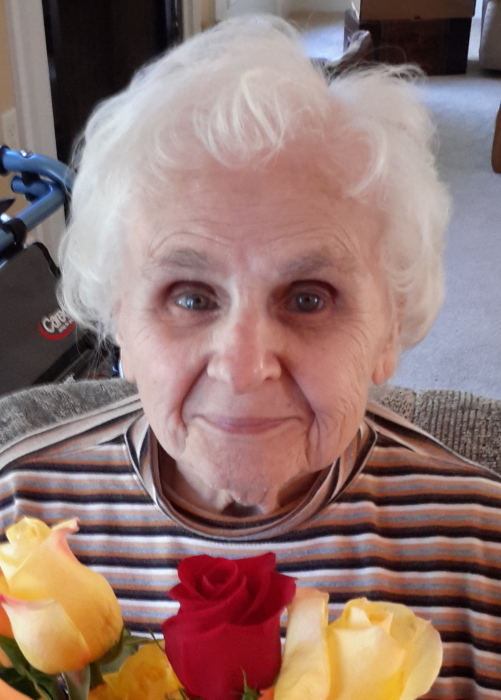 She enjoyed being a homemaker, playing Bingo, and especially loved spending time with her family. She was a member of Holy Family Roman Catholic Church, Creighton, and Immaculate Heart of Mary Catholic Church, High Point, NC. She is survived by three children, Rocco (Debra) Taliani of Land O' Lakes, Florida, Randall L. (Kim) Taliani of Creighton and Cindy (Larry) Hapeman of Archdale, North Carolina; 12 grandchildren and 9 great-grandchildren; her sister, Martha Felt of New Kensington and a daughter-in-law, Barbara Taliani of Texas. Besides her parents, she was preceded in death by her husband of 59 years, Rocco F. Taliani on February 14, 2011, a son, David Taliani, and her brothers, Richard D. Ortman Sr., Harlan Ortman and Harry Ortman Jr.; and her sisters, Louise Hanyo, Dorothy Miller and Ruth Hyer. Friends will be received Friday, August 3rd from 2-4 & 6-8 p.m. at the Paul R. Ajak Funeral Home, Inc., 921 Freeport Road, Creighton, where parting prayers will begin at 9:30 a.m. Saturday in the funeral home, followed by a Christian Funeral Mass at 10 a.m. in Holy Family R.C. Church, 787 Freeport Road, Creighton with the Rev. Fr. Thomas L. Gillespie, M.D. as celebrant. Burial will follow in Our Lady of Hope Cemetery, Frazer Township. Memorial Contributions in her name may be made to the Alzheimer's Foundation.